Seeds of Hope Gala: I am only one or am I? What it’s all about…building relationships to change the world one person at a time. Right?!? 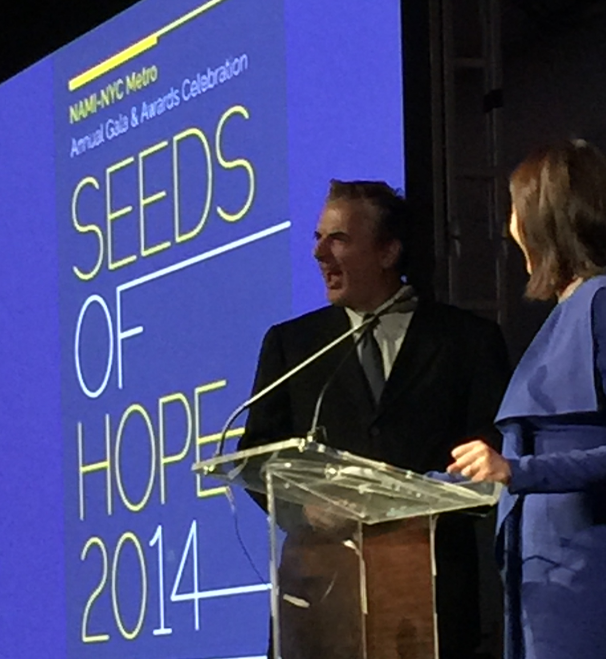 I had the opportunity to attend the Seeds of Hope Gala hosted by the New York City – NAMI (National Alliance on Mental Illness) organization this past month. This event honored extraordinary local leaders in the mental health community whose dedication, knowledge and vision have helped pave the way in reducing the stigma around mental illness. It was an evening of mingling, food, silent auctions, honorees and distinguished speakers such as Rep. Patrick Kennedy, Dr. Lisa Dixon, Shari Goldfarb and our host for the night – Chris Noth “Mr. Big”.